Campiglia Marittima is one of the most charming town of the Etruscan coast. Its name is testified for the first time in an official document dating back to 1004 as "Campilia". 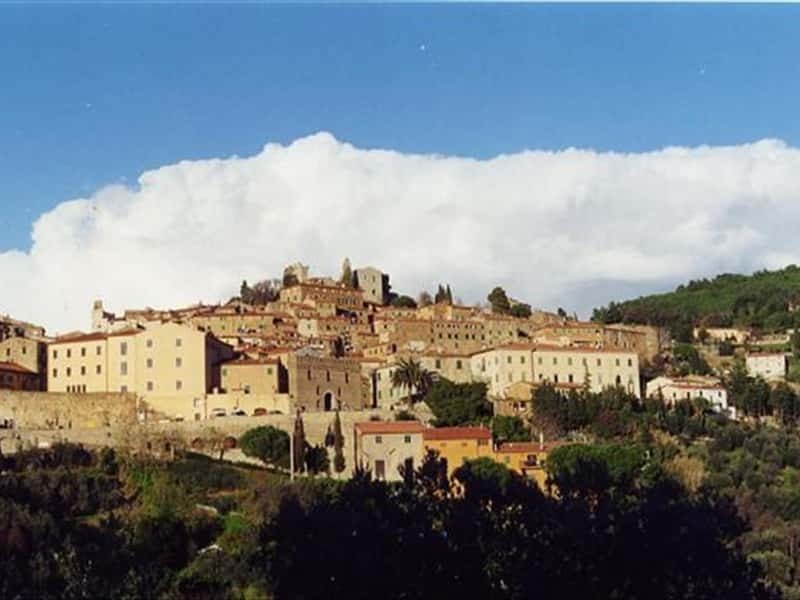 The first human settkements are dated back to the Etruscan period, as the foundries located at Madonna di Fucinaia testify, however it became a village in the VIII century, under the jurisdiction of the Gherardesca counts. The historical center is, in its totality, a monumental reference point, including the Rocca, la the San Giovanni paris church and the famous Meleagro bas-relief, the the San Lorenzo paris church and its valuable works of art, the Praetorian Palace and the armorial bearings of the Captains, nowadays seat of the museum of the archaeological findings of the Fort, the Theatre of Concordi of the 19th century with an interesting play-bill. This town web page has been visited 20,753 times.